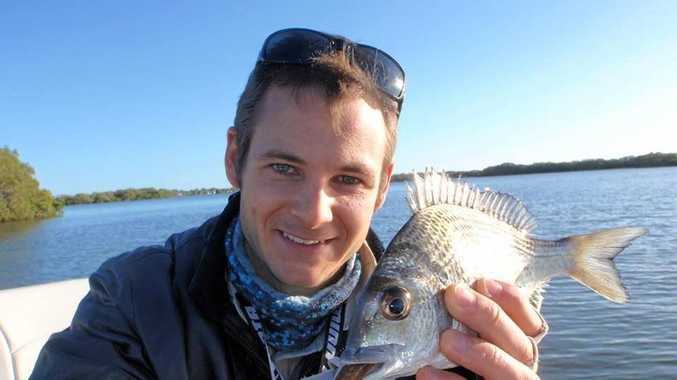 CURRIMUNDI kayaker Kyle Roberts was glad to be home, after a chilling encounter with a 4m tiger shark off Moffat Beach, his survival thanks to dedicated lifesaving and some luck. "I'm just happy to be home," Mr Roberts said, as he thanked lifesavers and Coast Guard volunteers who he said "saved my life". 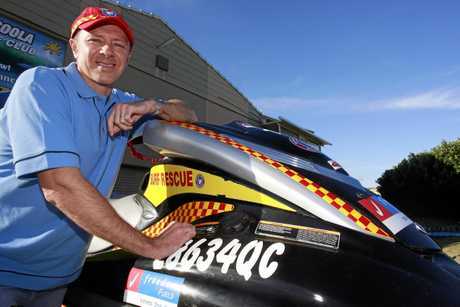 Met Caloundra and Dicky Beach volunteer lifesaver Graham Sharry said Mr Roberts was in the water, clinging to the front of his kayak, when he reached him on his jet ski. A desperate search had been launched just before 6am Thursday after Mr Roberts' mayday calls to the Coast Guard. Sunshine Coast lifesaving services coordinator Jacob Thomson was atop Moffat Headland, scouring the area with binoculars when he spotted a "black speck" about 2km out to sea. A "gut feeling" told Mr Thomson the black speck was the distressed kayaker and experienced fisherman. The morning sun was straight in the eyes of rescuers, making their task even more difficult and the search took about 25 minutes. "Locating him was extremely difficult," Mr Sharry said. As he approached, in the back of his mind he was running through scenarios, wary that his vision was impaired by the glare and an agitated 4m predator was in the area. "I did request a second jet ski in case something did go wrong," he said. "That's (4m) bigger than my ski." When he reached Mr Roberts he said shock had hit him, understandably, after the ordeal. "He was still in the water," Mr Sharry, 52, said. "He would be the luckiest man." The shark had knocked Mr Roberts into the air about 1.5m away from his kayak. As Mr Roberts swam back to the kayak the shark was believed to be latched onto the other end of his vessel. It's understood the shark made a second pass at Mr Roberts and missed, and bite marks were visible on the kayak, which began to sink after the attack. "He (Mr Roberts) was just in a state of shock," Mr Sharry said. "He's an experienced fisherman, he knew how big it was. "The water was really murky at that time of morning." Fellow lifesaver Nathan Steer took a second jet ski out and brought a nearby kayaker who'd been searching for Mr Roberts back into safety as a precaution. Mr Sharry praised Mr Roberts, who he said had done the right things safety-wise by having a radio and making the calls which may have saved his life, after Mr Sharry was able to take him back to the beach to waiting paramedics who treated him for shock, but no other injuries.